Link popularity and analysis is a major factor when it comes to ranking well in search engines and drawing traffic to your site. In step four, you will learn how to increase the number of links to your site, how to get quality sites to link to yours, and the overall effect link popularity has on your rankings. Link popularity is the number of incoming links that you have to your site from other sites. These links can be from directories, articles, or web sites. The more links you have pointing to your site, the better. The number and quality of links that you have pointing to your site are a factor that many search engines consider when determining the rank or your site and individual pages of your site. Also, the more incoming linksyou have, the greater the traffic to your site. The most important factor in getting others to link to your site is having a site worthy of a link. In other words, have a site or page that a directory editor or site owner thinks would be of benefit to their audience. The best way to do this is by having great content. Great content will draw people to your site. Great content will make people want to stay at your site. Great content will cause people to tell others about your site by linking to it. After you’ve created a site worthy of a link, start by submitting to the directories. Hit the major directories, regional directories, and thematic directories. Next, look for quality sites that would be complimentary to your audience and exchange links with them. For example, if you sell patio furniture, look for sites that sell gardening supplies and contact them about exchanging links. The best way to contact a potential link partner is by visiting a site and looking for ways the site owner could naturally include a link to your site in their content. Then look for ways to naturally incorporate a link to that site from yours. After you’ve done this, email the potential link partner with your idea. Don’t use a form letter. Just send a short, personal note explaining what you have in mind. We don’t use automated programs that send out form letters asking for links. If we use this type of program, we only use it for locating sites that may be worth contacting. A properly executed link building campaign will help boost your ranking with many search engines, but this is only part of the benefit. The quality sites that have agreed to link to you will also send you highly relevant traffic. Also, your brand and name will become better known within your industry as a result of the link requests that you make. Finally, your additions to Yahoo and the Open Directory will send you a great deal of additional quality traffic. Link building is a laborious process, but if done properly it is most definitely worth the effort. 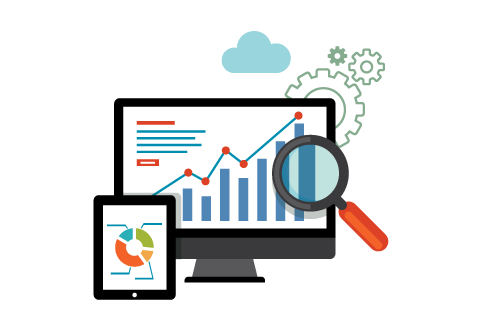 You can trust SEO to build up a link analysis and marketing program for your website. Selecting the right keywords and phrases is critical to the success of any search engine marketing campaign. A thorough analysis of your keyword market(s) will ensure proper keyword selection. Vertical and lateral keyword analysis refers to the discovery process you can go through to determine which Keyword Markets are relevant to your website. A vertical analysis looks at all forms of the word (singular, plural) and all the popular variations that are used in combination as a keyword phrase. A lateral analysis querieshundreds of other websites that deal with similar markets and extracts those keywords from the title tags, META tags and body text. The most frequent keywords end up at the top. Example is the best way to explain vertical and lateral keyword analysis. Site rankings is probably the first thing to think about, whether you have just started a small business with a new website or your site is quite old. We can help you check your web site rankings on all major search engines. It saves you hours of tedious work while monitoring your web site’s search engine position and site ranking. We use special software’s for web site rankings and search engine rankings which automatically query a givennumber of keywords on a selected set of search engines. We can then locate your URL’s in the retrieved search engines answer pages and calculate their respective search engines site ranks or positions. Finally, the information we obtain will be presented to you in an interactive, user friendly, easy to understandmanner. Source of web traffic analysis are the web site’s log files which contain a wealth of information about the effectiveness of web site marketing programs. Web traffic analysis is an ongoing process. With website’s log files, we can tell you how your visitors are finding your site, what search terms they are using to find it, and which are the best sources of traffic for your site. * Each time a Web page is requested. * What incoming link a visitor followed to arrive at your site. * What search terms a visitor used at a search engine before arriving at your site. * Errors that may have occurred. Analysing your log file and traffic will give you insight into:* How well your web site is performing. * How visitors are finding your site. * What pages are the most popular. * The geographic location of your visitors. * What search engines are visiting your site. .
* How much of your site the search engines are crawling. Web Traffic Analysis of your log files will let you know how well your various marketing programs are working. VIRAL MARKETINGViral Marketing brings about mixed feelings. We will help you understand this controversial Internet marketing technique and dispel the myths. Viral marketing is nothing more than word of mouth, but on the Internet. It is a marketing strategy that, like a virus, multiplies rapidly to get its message to thousands. There have been many famous examples of this including The Blair Witch and hotmail.com. Both are examples of something that started out small and through word of mouth grew to a phenomenal size. Hotmail.com is an example of Viral Marketing on the Net. It gave away a free service and attached a message advertising itself to the bottom of every email people sent. The emails being sent did the hard work and spread the world. Viral Marketing works because people want things for free and want to have the latest products and services. It plays on the human desire to be in touch with the latest buzz. Viral Marketing techniques include encouraging links to your site, word of mouth recommendations andoffering desirable products or services. It is a complex and misunderstood marketing method that can be successful if done correctly.Pay Per Click (PPC) Search EnginesPay Per Click search engines and advertising provides web site owners the opportunity to buy their way to better positions on search results pages. Learn about PPC, the costs, and if it is a viable option for your site. What Is Pay Per Click?Pay Per Click advertising on search engines allows you choose keywords you would like your site to appear for when a search is performed. You decide how much you are willing to pay each time a person clicks on the search results. The more you are willing to pay, the higher your site will appear in the results for the keywords you choose. Which Search Engines Allow Pay Per Click Advertising? There are hundreds of PPC search engines. The largest companies in the pay per click industry are Overture and Google. Google is not a PPC search engine, but it does provide paid advertising in text ad boxes to the right of search results it delivers. The pay per click search engines listed in the box in the right column of this page are not as large as Overture and Google, but they are worth a look. As mentioned above, one advantage these search engines can provide is they generally have lower costs per click to rank for a keyword than the larger search engines. In addition to these, you may also be able to find thematic search engines that serve your industry or specifically cater to your target audience.Important Considerations A very important point to keep in mind with pay per click is you must test, test, and test some more. Don’t start off with a major investment. Start with the minimum and see how the search engine performs in terms of the traffic it delivers and how well that traffic converts into paying customers. An essential part of your testing is having a method in place that allows you to track your return on money invested. For example,if your goal is to bring in new subscribers to your newsletter, you could direct visitors arriving from your PPC link to a subscription form set up just for them. You can then monitor how many clicks actually result in a new subscription. As such, you will know how much you are paying for each new subscriber. Before spending any money with a PPC search engine, be sure they can answer the following questions:* How many searches a month are performed at the search engine? * What major search partners or affiliates does the search engine have? * How many searches are generated each month by the search partners or affiliates? * Is it possible to opt out of having your listing appear in the results of the affiliate sites? * What fraud prevention mechanisms are in place? * What is the procedure for filing a “fraudulent clicks” report?. * How many searches a month are performed at the search engine? * Will an account be credited for fraudulent clicks discovered? * Is it possible to opt out of having a listing appear for searches originating from specific countries? * Is there a posted terms of service for search partners or affiliates. Look for search engines that have very strict guidelines for dealing with their search affiliates. This is important because you want to be sure the search engine is working hard to prevent fraud among its affiliates.? Affiliate marketing programmes extend the scope of pay for performance promotion well beyond the range of the search engines. For the right business with the right products they can work very effectively, but affiliate marketing is not a quick fix way of generating traffic and revenues. Affiliate marketing must be viewed as a long term investment, as it will take time to build your network before it will show a proper return. Only if you are prepared to invest the time, effort and resources will your affiliate programme be successful. Divisions can help you establish your affiliate programme, providing hands-on help, and practical advice and support as you establish your campaign. Even setting up and managing the entire programme on your behalf.. Within the UK and Europe we would normally recommend the TradeDoubler affiliate network. TradeDoubler is the leading European provider of performance based marketing solutions and affiliate programs. To date, has the largest European network of affiliates. For proprietary affiliate programmes we recommend My AP from Kowabunga Technologies, the world’s number one affiliate marketing solution chosen by over 2000 merchants and advertisers worldwide. My AP makes it easy to develop an advanced partner strategy and build a network to carry your ads and messages and track results, and we can help you with all aspects of set up and development of the programme, including complete management if required.